Utsarito Alo by Samaresh Majumdar Bangla ebook pdf. Some hundred years ago, after the founding of the Doors tea garden, lot indigenous laborer peoples were brought from a village in the region of Chota Nagpur for the labor work. This book highlights the story of real life struggles of the simple poverty-stricken people. It is a remarkable novel the background of tea garden. 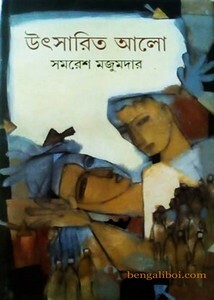 The Novel written by well known author Samaresh Majumdar.